At the end of the 17th and beginning of the 18th centuries, Barcelona continued to be a dynamic city linked to other parts of the world but it suffered some long sieges during some protracted wars that left deep scars. However, thanks to the fighting spirit of its inhabitants, it enjoyed a resurgence at the end of the 18th century as the driving force of an industrial development that took root in the course of the 19th century. The medieval Barcelona of merchants and craftsmen had established itself as a major maritime power. But when the Crown of Aragon became part of the new Spanish monarchy, and the conquest of America pushed trade towards the Atlantic, the city's maritime activity was weakened. The monarchy moved to Castile, while Barcelona remained in the hands of a viceroy. Tensions with the central power were common throughout the 16th and 17th centuries and, as a result of the war Philip lV was waging against France, which imposed a big economic burden on the counties in the Principality of Catalonia, in 1640 the Catalan people revolted. It took place on the Feast of Corpus Christi and has gone down in history as Bloody Corpus, the day that marked the start of the Guerra dels Segadors (the Reaper's War). This war lasted 11 long years, during which Barcelona was put under siege for 14 months, a siege that proved decisive in bringing an end to the conflict. As a result of that war, France and Spain signed the Treaty of the Pyrenees in 1659, which saw the counties in the north of the Principality – Rosselló (Roussillon), Conflent and part of Cerdanya (Cergagne) – pass into French hands. When Charles ll of Spain, the last monarch of the House of Austria, died without leaving a legitimate heir, a major international conflict was unleashed in 1701: the War of the Spanish Succession. Castile was in favour of the Bourbon line and Europe was split between those who wanted to put the Bourbon pretender Philip V, grandson of Louis XIV of France, on the throne supported by the Castilians to strengthen French expansionism, and those who favoured Archduke Charles III of Austria, who included England, Portugal and the Seven United Provinces of the Netherlands. In this context, Catalonia, led by Barcelona, put itself on the side of the Archduke of Austria to maintain its own statutes, aware that the Bourbons wanted to establish an absolute monarchy. Barcelona welcomed the archduke as a great king, who even held his wedding here when he married Princess Elisabeth Christine of Brunswick-Wolfenbüttel in August 1708, in the Church of Santa Maria del Mar in the Born neighbourhood, an event which had all the people of Barcelona out on the streets celebrating. But, in 1713, Spain and England signed the Treaty of Utrecht, recognising the Bourbon heir as the king of Spain. In exchange, Philip V ceded territories which up to that point had been Spanish, including part of the Netherlands, Naples, and the Kingdom of Sardinia, to the heir of the House of Austria, who was proclaimed emperor Charles VI. The Catalans, in the thick of war, were left on their own, but they resisted. Barcelona suffered another long siege, holding out for yet another 14 months in isolation, attacked with bombs and cannons . The city fell to the Bourbon troops on 11 September 1714. And with that, all Catalonia surrendered. Following the war, Philip V's army abolished the governmental institutions (the Consell de Cent and the Generalitat) along with the Catalan universities, and imposed the New Plan Decree, which put an end to the old rights and freedoms. In addition, they ordered a large part of the Ribera neighbourhood to be knocked down to the build the Ciutadella, a military citadel to keep an eye on the Barcelona populace, terrorising them for over a hundred years. The remains of the demolished neighbourhood can now be seen at the Born Cultural Centre archaeological site. Barcelona was seriously weakened following the War of Succession but there were many traders and entrepreneurs who set up new activities that quickly took root. The construction of a new port and the opening up of sea trade at the end of the 18th century revived an activity that involved many different crafts and trades, ranging from merchants to sailors and craftsmen who all had some connection or other with harbour activities. The embryonic textile industry gave rise to a sector that spread and strengthened through the 19th century, with steam power being introduced to factories and providing employment for large numbers of workers who arrived in Barcelona and populated the new working-class neighbourhoods that sprang up outside the walls. 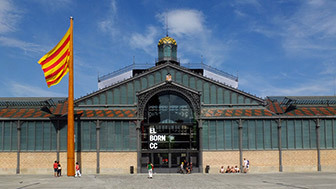 Poblenou, Poble-sec, Sants and Hostafrancs were home to most of the city's industrial activity and they still preserve the appearance of those times. The 19th century was also a convulsive period with many military conflicts. Aside from the wars, there was the confrontation between liberals and conservatives, and the bitter opposition of the people of Barcelona to the General Espartero regency, which prompted him to order the shelling of Barcelona from Montjuïc Castle in December 1842, to put down and pacify the people. But the stubborn populace continued to move forward. With their numbers growing, the city freed itself of the old medieval walls and, following their demolition, entered an expansion phase based on the designs of the town planner and architect Ildefons Cerdà, known as the Cerdà Plan. This led to the building of a new district, the Eixample. The middle of the 19th century was also the time when the people of the city finally got back the land occupied by Bourbon troops in the old Ribera neighbourhood and succeeded in getting the military fortress knocked down. The area was then transformed into a big park, though initially it was developed as a trade fair site for the Universal Exposition of 1888. 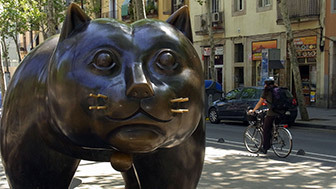 A new bourgeoisie, made wealthy by the rise of the industries, transformed Barcelona and made it more beautiful, adapting it to the modern times. Architects like Antoni Gaudí, Josep Puig i Cadafalch, Lluís Domènech i Montaner, Enric Sagnier and many, many others adopted the prevailing style in Europe and filled the city, especially the new Eixample neighbourhood, with Modernista (Art Nouveau) buildings. This new era also saw the beginnings of the Renaixença (Renaissance), a new stage in the recovery of the Catalan language and culture, which had been abolished since the end of the War of Succession. This in turn laid the foundations for the birth of a new political Catalanism. One of Europe's biggest urban archaeological sites, covering 8,000 m2, preserves the part of the Ribera neighbourhood that was demolished following the defeat in the War of Succession. In 1753, work started on building the baroque neighbourhood of Barceloneta, near the new port. CB-1761, a house from that time that has been restored and opened to the public, is an example of the original buildings. The Universal Exposition held in Barcelona in 1888, took place at the new Parc de la Ciutadella, and the main entrance was through the Arc de Triomf. Fabra i Coats, a factory dating from the 19th century, is the best place to discover the city's industrial model of that time. The factory site has now been restored and currently hosts a number of cultural and educational projects. The National Art Museum of Catalonia (MNAC) houses Renaissance, Baroque and Modern Art collections that allow visitors to discover the evolution of Catalan and European art. Montjuïc Castle, an old military fortress, is today a municipal facility devoted to preserving the city's historical memory. It is surrounded by gardens and stands at the top of Montjuïc, making it an impressive viewpoint as well. At the end of the 18th century, the former viceroy of Peru returned to Barcelona and built the Vicereine's Palace, one of the city's outstanding examples of civil baroque. Today it houses the Centre de la Imatge. 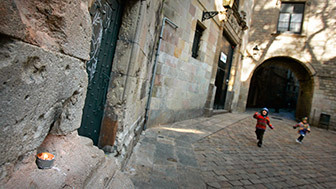 Housed in the Palau del Mar, the Museu d’Història de Catalunya (MHC - Museum of History of Catalonia) invites you to take a walk through the history of Catalan society from prehistoric times to the present day, to get a better understanding of Barcelona's history as the capital of a historic nation.